Lori's digital images are for sale at Jessica Sprague. Her cut files are available at the Silhouette Online Store. Lori also designs for Echo Park which you can find at your local scrapbook store. My card today is pretty simple. I cut out everything using my Silhouette Cameo. The only extras I've added are the twine and the brads. The brads are from Eyelet Outlet. Be sure to check out ALL their wonderful products here. Oh, I just got word that Eyelet Outlet is coming out with a WONDERFUL new product. More on that soon, so check back often. I will share as soon as I can! And speaking of sharing...I had a giveaway last week and Ms. Wendy Hayes was the winner. Eyelet Outlet Happy Mail going out to her today! Be sure to come back tomorrow. 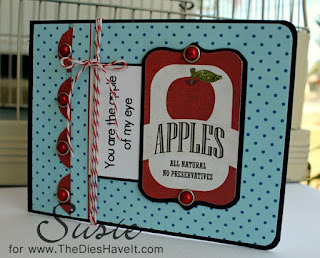 I'll be sharing a project I made for a tag swap last month when I went on a scrapbooking cruise.